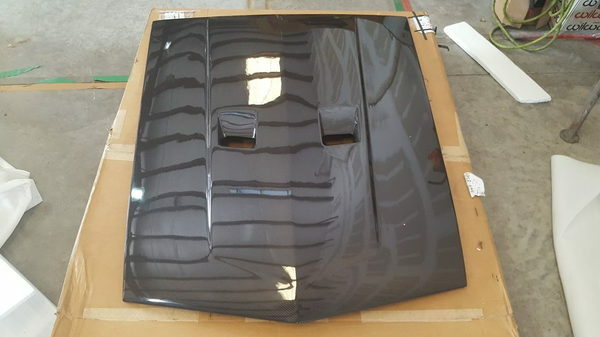 Selling my new (never mounted) carbon fiber / fiberglass hood from Anvil Auto, for a 1969 or 70 Mustang. The hood is finished in a clear coat, as purchased from Anvil. I bought this hood for my car, but ended up needing to build something custom in order to clear the supercharger. Big shame because this hood is crazy light at only 18 lbs! Shipping is not included if necessary, and will be pretty expensive as this is not a small item!